I met an interesting guy at a recent ARLA event, with an even more interesting product, and I thought, why not tell you about it on my blog? Rajeev Nayyar is the director of Fixflo, a really innovative service that encourages tenants to report maintenance and repair issues more efficiently, or deal with simple issues themselves. How many times do you answer the phone to a tenant who can’t work out how to reset their fuse box? Or thinks you should change their lightbulbs? In short, how much time and effort do you waste on tenants who just don’t understand what is your responsibility as their agent, and what is really down to them to sort out? Fixflo can fix all that. It is a complete reporting system on a phone or tablet app, or even on a desktop – super easy to navigate, with big pictures that anyone can understand. It also – very importantly – reports any information the tenant enters, to you, the agent. This means that you have a detailed audit trail of the problem, and its outcome too. Great if it turns into a more serious issue and you need to refer to that audit trail to protect your landlord, and yourself. Let’s take an example: imagine that it’s a Sunday evening and your tenant notices that their heating isn’t working. When once he would have reached for his phone to dial your emergency number, now he sees that on his phone, he has the Fixflo app, which is prompting him to click the corresponding button. He’s a good tenant (mostly), and doesn’t really want to use the emergency callout number, especially as he’s not confident he won’t be charged, and so he’s happy to try the app first. He clicks on the corresponding symbol and is then guided through some questions, including checking that the thermostat is turned up. He decides it would be prudent to check, even though he is certain it is. He’s surprised to discover that one of his kids has being playing with the thermostat and set it to 5 degrees. Hey presto: he turns the thermostat up, the boiler kicks in and disaster averted. He sighs in relief at not having made a fool of himself by using the emergency number! On Monday morning, the agent has had an uninterrupted weekend with no need to call out an emergency contractor. Even better his relationship with the tenant hasn’t suffered from an awkward conversation about the cost of an unnecessary emergency call out. In short, everyone’s happy. Or how about this: let’s say your tenant who speaks Polish has a problem with her washing machine. . She reaches for her app to report the problem, selects Polish from the 40 plus languages in the Fixflo system and clicks on the relevant icon. She’s immediately prompted (in Polish) to give you all of the information you need about her probem (eg make, model, description and even photos). Because the Fixflo system sends you her detailed issue report in English you can fully understand her problem from your desk and forward it to your contractor without needing to call her or even worse having to inspect the property to understand the problem. 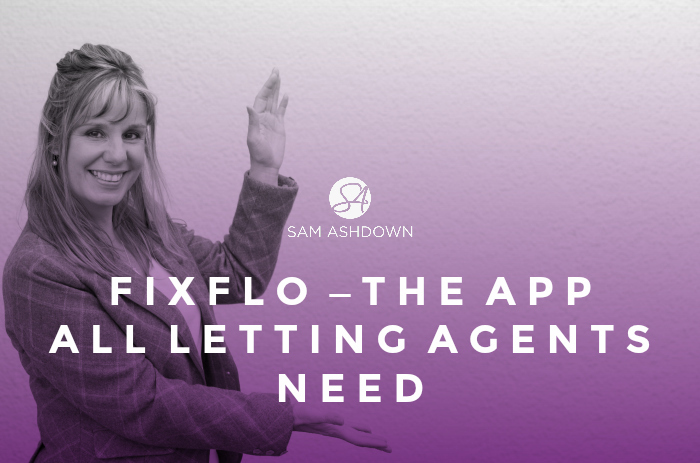 Fixflo really is an ingenious and innovative service, and deservedly won the 2014 Sunday Times Award for Best Supplier to the Lettings Industry. If you are a letting agent who would like to better streamline your maintenance issues to free up your team’s time to do what they should be doing – then I’d suggest you give Rajeev a call. He’s a nice chap, and he’ll arrange a demo for you so you can see what it actually does. Next post First, last or middle? This app is brilliant. A super slick, consumer facing interface using pictures to help tenants easily identify problems at their homes…and an intuitive back end for agents to tap into, making managing tenant reporting a breeze. Can’t wait to link up with them and work together.